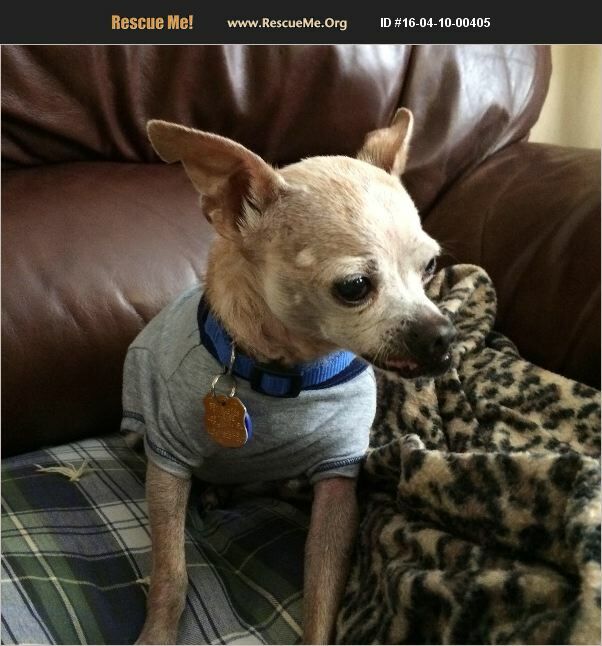 Jasper is a sweet older chi , he found himself at the local shelter and no where to go . Jasper loves to be held , he is a true people dog. He has lost most of his teeth , but eats well. He is currently in a foster home with other dogs and gets along fine with everyone. He likes walking outside in the yard and enjoys treats. Jasper is completely vetted, all vaccinations, neutered and micr chipped. He was tested for heart worms and is HW- . He is located in the Ft Myers , Fl area. We DO NOT ADOPT OUT OF THE STATE OF FLA.